Recently, I was able to sit down and interview Pastor Ben Stears of Northpark Church in Meridian, MS. If you haven’t checked out their website to see what they’re up to, you should. The story of this church, with its rich history, is one of God’s unwavering faithfulness. Northpark Church has an incredibly rich history that is 30 years strong. Earl Wheatley pastored Northpark for 27 years and was able to pave the way for many of the successes the church experiences today. He pastored with great care for his community and left a legacy of generosity and compassion. Wheatley helped the church become more outward focused, and he was instrumental in cultivating and developing ministries that served the poor and homeless. He was a visionary — one who would look down the road and see what was best for the community and movement of the church. Wheatley passed away in the Spring of 2015 from pancreatic cancer. The church grieved. However, Wheatley, in his genuine care and concern for the church, had brought in a friend to serve as the Interim Pastor, and he led the church for 18 months. This gave the congregation time to heal and grieve the loss of their long-time pastor. Unfortunately, the church had gone into a kind of survival mode during Wheatley’s illness, and naturally, ministries became smaller and attendance lessened. In the meantime, Ben Stears was an Associate Pastor at Indian Creek Community Church in Kansas City. He had served there in various roles for more than 15 years. Ben didn’t see himself ever wanting to become a Lead Pastor of a church, so he found a contentment where he was. However, in 2015, God began to stir Ben’s heart. He then reached out to his mentor and friend, Greg Wiens, who confirmed that God was calling him to a lead role in the church. In early 2016, HGC was brought in to help Northpark through a Transition Consultation. After various assessments, meetings, and talks, it was clear that Northpark was in need of a new life cycle, a new governance model, and a new Lead Pastor. Though change is often quite difficult, the church responded to the changes well. During this consultation process, Greg began to look at Ben Stears as a possible candidate for the Lead Pastor position. He encouraged Ben to allow him to pass along his resumé to the church leadership. Because Ben had taken the full series of HGC assessments, the church was able to gain some great insights on who Ben was, and Ben was also able to obtain good insights into the culture of Northpark. 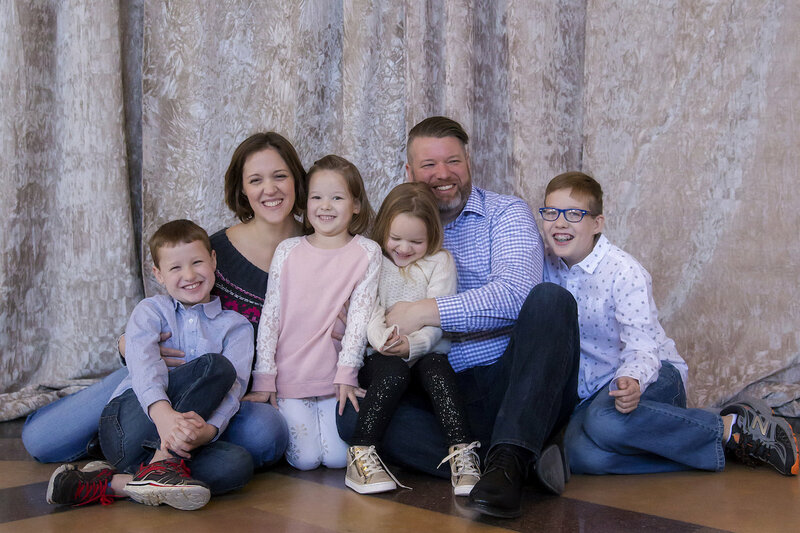 On July 4th, 2016, the Stears family moved to Meridian, and about a month later, Ben became the new Lead Pastor at Northpark Church. Upon Ben’s arrival, the church had around 300 regular attendees. And in just 2 short years, God has been so faithful to the calling placed on Ben’s life, Northpark Church, and the community of Meridian, MS.
Fast forward to 2018 and you’ll see a church that has found a way to connect with its previous congregants (Wheatley’s wife continues to be involved in the church) and a church that is connecting with young families and older adults. What is incredibly encouraging is that the church is attracting those who have been disenfranchised from the church. The congregation continues to grow and as of May celebrates with over 400 in attendance each week. Ministries are also thriving! For example, the church’s Celebrate Recovery program used to serve 12-15 people including staff and only 1 qualified sponsor. Now, the program regularly has 60-70 people with 20 qualified sponsors – all of whom are volunteers! Amazing stories are coming out of that ministry. The church continues to use HGC to help with hiring new staff. Last year, the church hired a new Student Pastor, and since then, the ministry has doubled! In addition, people are coming to know Jesus and being baptized on a regular basis. When I look into the future of NorthPark Church, I see the ushering in of a new season of ministry for a focused and vibrant church that is For Meridian. I see a church that is fully surrendered to Jesus, willing to walk in risky obedience, and passionate about seeing its world transformed by the grace and mercy of Jesus Christ. I see a church that becomes the epicenter of a Kingdom movement in Mississippi and beyond. We will live with open hands in a posture of radical generosity. We will see people redeemed by Christ by many people in many ways in many locations. As NorthPark Church makes disciples that make disciples, we will plant churches that plant churches. We will become an incubator for Kingdom leaders where it is a normal celebration to commission leaders to start new ministries and new churches across the region. I see a church that lives out the Great Commandment. NorthPark Church will be a multi-cultural community of Jesus followers that whole-heartedly loves God. Our gatherings will be engaging to guests and marked by genuine worship, heartfelt prayer, and Biblical teaching that inspires, equips, and empowers a life of devotion and mission. We will be a church that dares to dream big and has the discipline to start small; empowering every person to hear from God through the Holy Spirit, and step out in faith. I see a church that is deeply committed to one another in authentic relationships. Within this God-focused community, men and women of every age, race, and background find a safe place of hospitality, belonging, laughter, and spiritual growth where they are known, cared for, and held accountable. NorthPark will be a church that is fully committed to making disciples that make disciples that make disciples by cultivating intentional relational environments that are centered on the gospel and built to multiply. These intentional environments will not only happen on our campus, but in neighborhoods, office places, and other locations around the city. I see a church that builds health in the family. This will be a church where healthy marriages thrive and struggling marriages are revived. This will be a church where parents in every stage are supported, encouraged, and resourced as the spiritual champions of their homes. I see a church that is sacrificially committed to the next generation. We will build energetic, inspiring, and engaging environments for every child. Ministry will be led by teams of adults who are generously investing their hearts into the lives of children of every background. This will be a church where every adult is equipped to model and inspire faith in the next generation. I see a church that is unleashed on mission in our city. We will be a place where every person, no matter the age, can live with passion and purpose. As a multi-cultural church, we will lead the way in racial reconciliation and Biblical unity. We will be people who hear from God, and respond in faith not merely in our hearts, but with our hands as well. Partnered with schools and local organizations, NorthPark Church will make a tangible Kingdom impact by addressing the real needs in our city. I hope that this story inspires and encourages you to have big dreams when it comes to the things of God. And held within those big dreams is a story of God’s unwavering faithfulness to you as well. Below is the intro to Northpark’s latest sermon series entitled: Choose Joy – A Series in Philippians. Choose Joy – Joy In Christ from NorthPark Church on Vimeo. Next HGC Vision: Launch New Life!